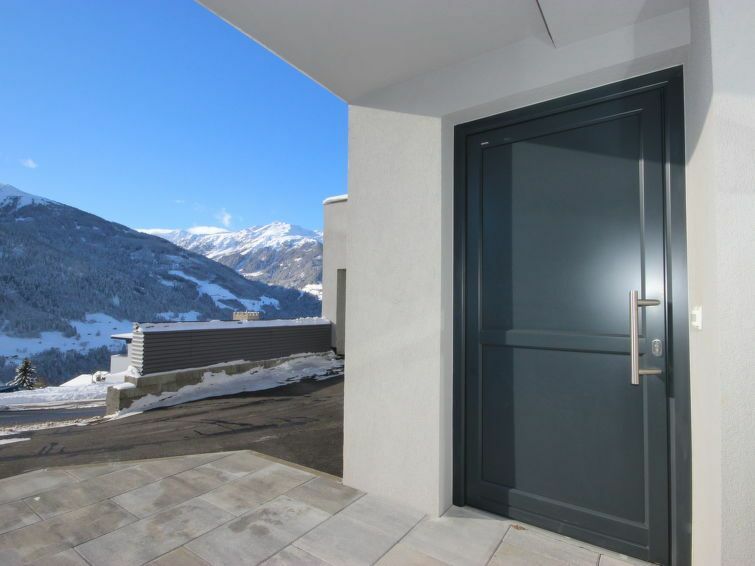 Fließ 8 km from Landeck: Large, modern single-family house "IsiLiving", 1'200 m a.s.l., 3 storeys, terraced, built in 2014. In a quiet, sunny position on a slope, 4 km from the skiing area. Private: terrace (12 m2). In the house: WiFi, storage room for bicycles, storage room for skis. Storeroom available. In Winter: please take snow chains. Parking at the house. Grocery 1 km, restaurant 1 km, bus stop 1 km, outdoor swimming pool 2 km, natural swimming pond 2 km. Golf course 20 km, tennis 2 km, sports centre 2 km, gondola lift 4 km, ski rental 1 km, ski bus stop 200 m, cross country ski track 4 km, children's playground 70 m. Nearby attractions: Naturparkhaus Kaunergrat 4 km. Well-known ski regions can easily be reached: Venet 4 km, Serfaus-Fiss-Ladis 17 km, Kaunertaler Gletscher 40 km. Hiking paths: Naturpark Kaunertal. Free ski bus service to the ski region Venet. Please note: Loading and unloading of baggage is possible at the holiday house. Tirol-West-Card included in the price http://www.tirolwest.at/home.html. 3-room apartment 50 m2, on the ground floor. Object suitable for 2 adults + 2 children. Modern and cosy furnishings: entrance hall. 1 double bedroom. 1 room with 1 x 2 bunk beds. Large living/sleeping room with dining nook and satellite TV (flat screen), radio, CD-player, DVD and DVD collection available. Open kitchen (oven, dishwasher, 4 ceramic glass hob hotplates, microwave, electric coffee machine, Capsules for coffee machine (Cafissimo Tchibo)) with 1 double sofabed. Shower/WC. Small terrace 12 m2. Terrace furniture, barbecue, sitting area. Beautiful view of the mountains. Facilities: children's high chair, baby cot. Internet (WiFi, free). Garage (1 car) at the house. Please note: suitable for families. Non-smokers only. Modern, complet, sehr Sauber; perfect! Super freundliche Gastgeber! Wunderschöne, moderne, große, saubere, top ausgestattete Wohnung mit sehr schönem Ausblick auf die Berge.